GUARANTEED to be packed. 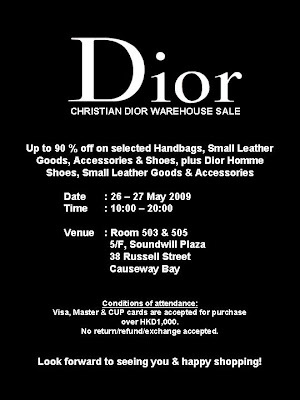 The Dior sale in Causeway Bay always inspires a snake of a crowd to line up -- usually hundreds of office ladies stacked upon each other to get in, and a good other 30-40 in line inside buying stuff they may or may not want but feel like they should get, just because they lined up for so damn long to get in. Try your luck, if you dare... or get there at 10am, on the DOT.